Decisions, decisions, decisions… When we run into problems, what is our first move? It’s usually something between total panic and assembling our favorite like-minded thinkers. 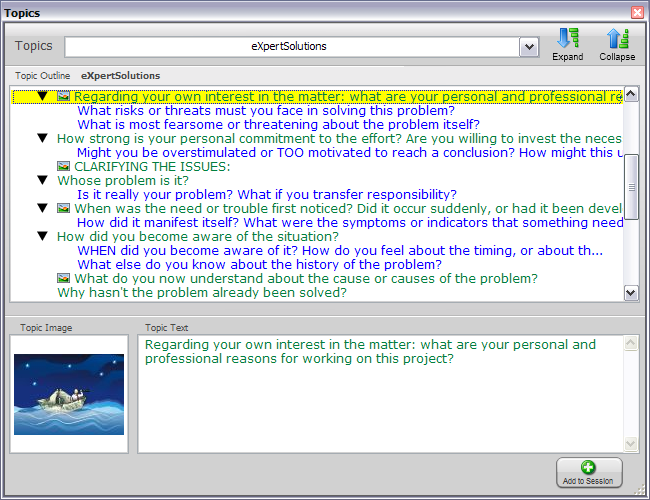 Well, we like to think of the Expert Solutions Module as the second, more productive option. By prompting you with a series of expertly crafted questions, and then using the IdeaBrowser Engine to help drive more than 10,985,690 possible answers, you have the solution to just about any problem relevant to you, your business, and your life. And ThoughtOffice Expert Topic Modules are agnostic; they are not concerned with your race, color, religion, background… and they don’t have an ego to bruise. ThoughtOffice is all about helping you find real solutions to your challenges, big and small.